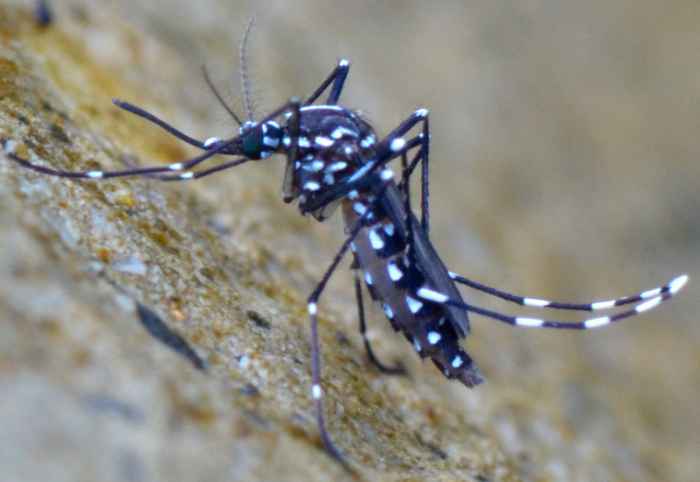 Aedes albopictus (Asian Tiger Mosquito) ♀. Size: approx. 8 mm. Photo: 08/23/11, 9 am. 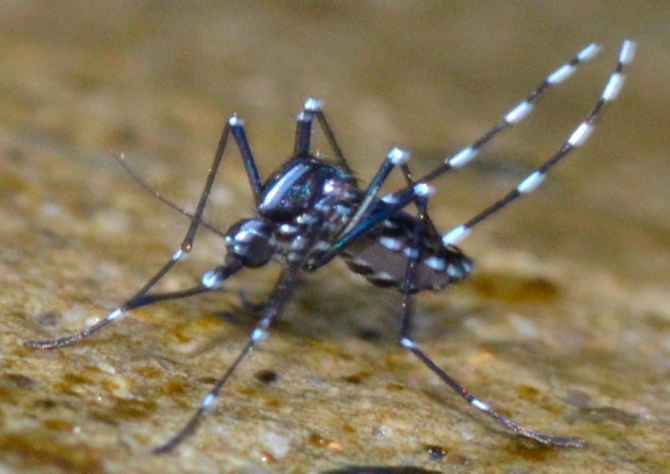 The Asian Tiger Mosquito (Aedes albopictus) was first recorded in Houston in 1985. According to the bug guide it came to the US in used tires shipped from Southeast Asia (good story). In contrast to many other mosquito species, it also flies and feeds during the day. It is also vector for West Nile diseases and other viral pathogens.